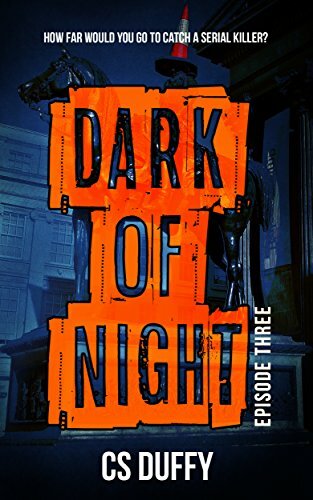 Although often if a book is part of a series, you can read each as a standalone, Dark of Night has to be read in order. The story wouldn’t make sense without reading all – it would be like watching the last part of a detective drama on tv without having watched the rest. The books are so brilliant that it’s well worth taking the time to read all three. And they are so attention grabbing that once you start you won’t want to put them down! It was great to be catching up with characters, especially given the dramatic ending to Episode Two – and Episode One for that matter! There seemed a more gentle pace to start with but don’t be fooled. As the victims and potential victims start to mount up the pace soon ramps up. Doubts are cast on what police think has happened – which mean the killer is out there. All the different episodes of the books have been so fast paced, that I found I couldn’t read quick enough. They are filled with great characters who jump off the page with all their faults and good points. Being narrated from different characters’ viewpoints keeps the storyline bouncing along. Clues and red herrings are scattered throughout so that I had no idea who to actually trust! I think I was suspicious of everyone at some point as my understanding of them changed. And yet again, CS Duffy pulled off an amazing ending, rounding off this series of books in a dramatic way, but with scope to explore more in future books. I highly recommend getting your hands on all three episodes of Dark of Night. This addictive series of books is already on my top reads list for this year. Yes – all three of them! The Dancing Girls Killer is dead but somehow victims are still appearing. As the horrifying truth is finally revealed, it’s a race against time to save the final victim. You can find out more about the author by reading the highly entertaining #TenThings feature she recently did for the blog. Click here to read.